You might be thinking about applying to business school, law school, or graduate school and thinking, “I really need to take care of my GRE.” You’ve got great plans; you’ve started inquiring at grad programs; but you’re wondering, “I hope I get a good score on my GRE!” As you know, hope is not a plan, but a study plan is! You can get some clarity early in the admissions process by taking care of your GRE first. You don’t need to do anything elaborate. You don’t need to over commit yourself. You can get started with GRE preparation without disrupting the rest of your life. The key is time and consistency. Many GRE students come into GRE preparation under a deadline. Their graduate or business school program is requiring they submit a score by a date that is just a few weeks away. They’re under the gun and trying to crank out a solid GRE performance under pressure. Needless to say, this high stakes situation makes it even more difficult to prepare and execute effectively. The GRE is already a challenging test. Don’t add an extra layer of difficulty. 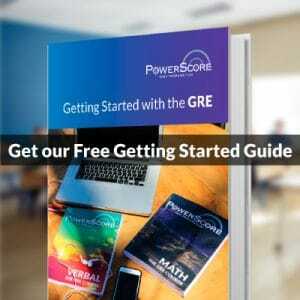 To help you prepare effectively for the GRE, PowerScore has developed and now updated our free 12-week Self Study plan. Fortunately for students, ETS has released two additional practice tests, bringing the total number of official Computer-Based Tests (CBT) up to four. With these additional tests, students now have a greatly improved ability to space out practice and perform crucial self-assessments. Read below for tips on how to self study and highlights from our free plan. When you look for GRE preparation tools, you might feel overwhelmed by choices. All the companies you’ve ever heard of (and many you haven’t) have published GRE prep books. Some promise four (or more) free practice tests! However, the catch is that these practice tests are not actual GRE practice tests. Every GRE practice test not released by ETS is an approximation of a GRE, an attempt to mimic both the questions and scoring algorithm of the real thing. Fake tests are developed with a limited data set. Every time a student takes a real GRE, he or she attempts an unscored, unidentified research section along with the rest of the test. ETS has data from hundreds of thousands of such research sections to develop new GRE tests that produce the desired statistical results. Fake tests have only the limited subset of released GRE material to copy in order to try to replicate the real thing. Fake tests use an inferior algorithm. It is possible to examine the GRE scoring algorithm and approximate your score. In other words, you could submit the number of questions correct on each section, and predict ±2 points what your scaled score will be for Quant or Verbal. But this is a pretty big margin of error! ±2 points could make as a 17% difference in your percentile score. In other words, a 148 puts you in 38th percentile Verbal, while a 152 puts you in 55th percentile. This is an enormous difference, and fake GRE practice tests cannot give you an accurate picture of how you should expect to score on a real test. While we develop our own practice problems for students to use to prepare and study, PowerScore instructs our students to use only real ETS GRE practice tests for self-assessment. How Does Self Study Work? The PowerScore 12-Week Self Study Plan breaks down a step-by-step, week-by-week plan to take you from start to finish with your GRE preparation. To prepare for the GRE, you must establish goals from the outset, the test date that you’re preparing for and the score you wish to achieve. On the way, you must establish a regular, structured preparation schedule that allows you both to learn new material and reinforce skills you already have. In addition, we recommend our additional practice books and our free GRE Forums. Whether you’re preparing with official ETS material or PowerScore material, our GRE forums are an invaluable resource to get expert answers to all your test preparation and admissions questions. Once you get to work on your GRE preparation, you can proceed confidently with other aspects of the application process. Application schedules get tight. Your recs, diplomas, interviews, and school visits can become overwhelming on their own. If you’re looking to apply to business, grad, or law school for 2019-2020, now is a great time to take care of your GRE. Your scores are valid for five years. Get the score you want and have it ready for your applications. 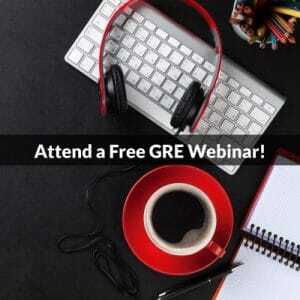 Now that the GRE is universally accepted at grad and business schools and increasingly accepted at law schools, a GRE score can be a versatile tool, no matter which advanced degree you decide to pursue. The PowerScore self study plan is only one resource among many we offer. We also offer both online and in-person courses in addition to private tutoring. Consult all our GRE resources and options, and don’t forget to register for our free GRE Forums to get expert advice as you prepare.